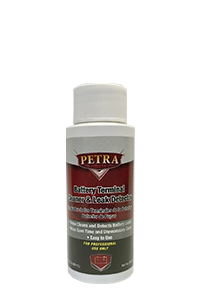 Petra Battery System Service & Products | Petra Oil Company, Inc.
Petra’s specialty products include shop supplies, cleaning products, greases, aerosols and PetraFlate/Nitrogen caps. These products are designed with the highest quality to ensure your shop has the latest in formulations and application. These products also help ensure you customers’ vehicles are maintained to a higher level of excellence. These products may include special programs such as PetraFlate. 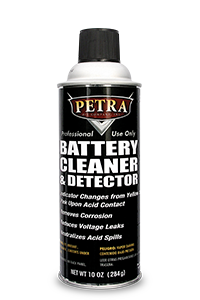 Petra’s product line extends well beyond the engine compartment. 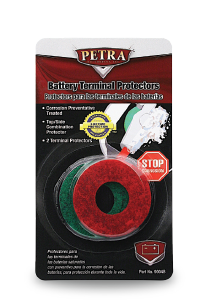 With advancement is product development and technology, Petra is adding more and more products every day. Recent product additions include: battery cleaner, window cleaner, ICE32, contact cleaner, and white lithium grease.